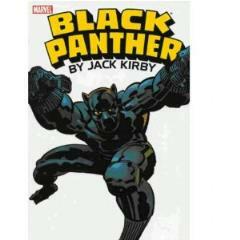 The Black Panther, as only Jack "King" Kirby could do it! They searched for it! They fought - and even killed - for it! What was it? King Solomon's Frog! Alongside Mr. Little and Princess Zanda, T'Challa battles the Collectors, the Six-Million Year Man, and more in this power-packed, never-before-reprinted action epic in the mighty Marvel manner!